December 7 – The Asian Football Confederation (AFC), which in September cancelled a vote to elect its FIFA Council members, will now hold that ballot on May 8 at its Ordinary Congress in Bahrain – three days before the FIFA Congress itself there. The re-arranged AFC vote had already been slated for May to coincide with FIFA but now a firm date has been announced, after which those elected will have precious little time to prepare for their first Council session – most probably on the eve of the FIFA Congress. In September AFC members took just 27 minutes to decide not to proceed with their extraordinary congress in Goa. At the heart of the protest was the feeling within the AFC member associations that FIFA was using its Ethics department as a political tool to secure the election of officials to the FIFA Council who were sympathetic to the views FIFA president Gianni Infantino. FIFA had disqualified Qatari Saoud Al-Mohannadi at the last moment from standing for election. He has since been banned for one year for failing to cooperate as a witness with a FIFA investigation. Al-Mohannadi had been one of four male contenders in Goa, from whom the AFC was due to choose two for FIFA Council, the others being Chinese federation general secretary Zhang Jian (a shoo-in had the election gone ahead), Iran’s former federation president and AFC vice-president Ali Kafashian Naeni plus Singapore FA president Zainudin Nordin. The last two are understood to have voted for Infantino at the FIFA presidential election earlier this year. 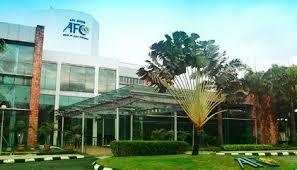 Jian has since been invited as an ex-officio member of the AFC’s executive committee. So far no candidates for AFC slots on FIFA’s Council have been nominated and it is not clear if all the original contenders will put themselves forward again. But the May 8 date at least gives potential candidates, now rumoured to include Qatar’s 2022 World Cup organising chief Hassan al-Thawadi, time to consider their options and test the water before formally throwing their names into the hat.